You may have heard of stem cells, but not in the context of your hair and its growth. If you are an ingredient buff or are pursuing your hair growth goals, then you may want to familiarize yourself with this recent development in product formulas. éprouvage uses the science of progressive plant stem cells in their product line, so we asked them what plant stem cells can do for our hair and scalps. 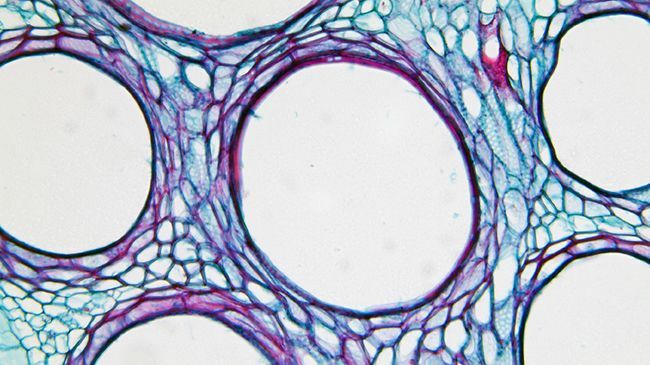 What exactly are plant stem cells? A plant stem cell is a non-specialized cell capable of self-renewal. Meristem cells are stem cells found in plants. What do plant stem cells do? Stem cells are the most important cells in the skin. They are the source for continuous regeneration of the epidermis, the formation of new hair and hair pigments. Active plant cell technology works to increase the lifespan of hair follicles so that the hair can stay longer in the anagen phase of the hair. We recommend éprouvage Restorative Scalp Serum which is formulated with plant stem cells to help reduce thinning hair and produce stronger and healthier hair. Can you find plant stem cells for individual purchase? Or are they only available in formulated products? Companies manufacturing formulated goods use plant stem cells, as they are intended to be formulated into a finished product. They are not available for purchase directly by a consumer. What is a powerful plant stem cell used in haircare? The Egyptian blue lily in the éprouvage regimen is a plant stem cell cultivated for its anti-aging and skin balancing properties, leading to healthier hair and scalp. This smart cell therapy better anticipates and helps slow down the aging process. The éprouvage Reparative Treatment Masque contains this ingredient in a deeply penetrating, intensely conditioning treatment that strengthens hair from within to restore strength and elasticity. What are the benefits of the other ingredients used in éprouvage? Lavender Oil promotes scalp health benefits, and is known to regulate blood circulation in the body, including the scalp. This awakens the hair follicle for ultimate growth. By using vegetable proteins and wheat and soy keratin, hair can repair faster, leaving it shiny and supple. When hair is damaged, then the hair structure is opened up and vegetable keratins penetrate into the fiber and bind to the internal structure, rebuilding the damaged proteins to restore strength and condition to the hair. Through multiple uses, it will increase hair strength and elasticity to prevent breakage. It can protect the hair when it goes through harsh processes such as coloring and bleaching and will reduce damage from the excess force of styling. éprouvage Fortifying Shampoo and Conditioner utilize these powerful proteins to repair damage and prevent breakage. Eucalyptus improves overall health of the hair, as well as promotes blood flow to the skin around hair follicles. Where are éprouvage products available for purchase, and are they for professional hairstylists only? No they are available to both professionals and consumers. You can currently find éprouvage products in Ulta stores and online at Ulta.com or eprouvage.com. Stylists can purchase the products through professional haircare distributors once partnerships have been finalized. This post is sponsored by éprouvage.